The aftermath of famine, Ireland (1840s), 1886. 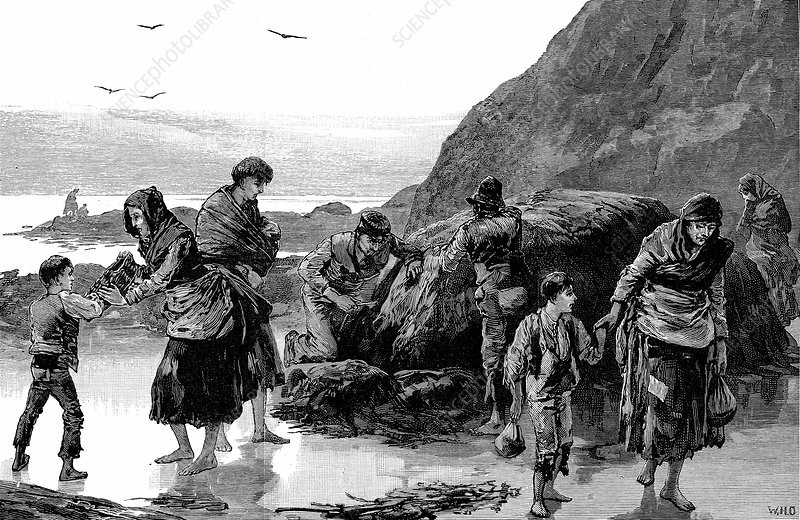 Distress in Ireland as people Collect limpets and seaweed for food in west of Ireland. Failure of the potato crop in previous year had made condition of these people desperate. Wood engraving.